Lisheen Castle offers bespoke touring vacations to allow you to make the most out of your Irish Vacation. 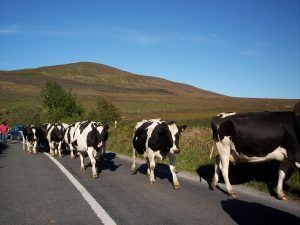 Week long Irish touring holidays incorporate visits to Ireland’s historic sites, sightseeing of Ireland’s landscape, beauty spots and visits to traditional Irish pubs to hear traditional Irish music and sample the local tipple on offer. 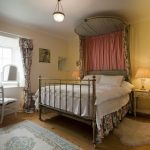 On all tours full Irish breakfasts are offered at Lisheen Castle every morning, and evening dinner meals are served in the formal dining room of the castle prepared for you by talented local chefs or on selected evenings in the best of Tipperary restaurants hand picked by your hosts, the Everard family. 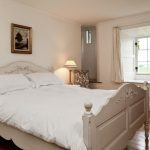 This vacation offers accommodation in Lisheen Castle on a Dinner, Bed & Breakfast basis for one week. Coach transfers to enjoy some of Ireland’s top visitor attractions, such as the Cliffs of Moher, Bunratty Castle, Cobh where most of the Irish left from during the famine, the Rock of Cashel, beautiful scenic seaside villages and the Guinness Brewery. On some evenings you will enjoy traditional pub music sessions and wonderfully choreographed Irish Dancing and dine either in selected restaurants or have dinner prepared and served to you in Lisheen Castle. On landing at the airport you will be met by the driver and escorted to the luxury coach, you will spend the next 7 days living it up like Kings and Queens and exploring the many wonders that Ireland has to offer. 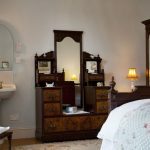 Once you have arrived at the Castle you will be met by the owner for an introduction to the historic castle before settling into your luxurious surroundings and recuperating after your flight. Afterwards a superb 4 course traditional Irish meal awaits you prepared by our chef and served in style across the hall in the formal dining room. A delicious hot Irish breakfast will be served in the traditionally styled Kitchen-Dining room before departing by coach for our first stop of the morning, the historic Holycross Abbey. Holycross Abbey was a place of great medieval pilgrimage and has for hundreds of years housed a relic of the true Christian cross. From Holycross we move south down the country road to the historic town of Cashel, which is home to the iconic Rock of Cashel. The rock was long ago the main seat of the High Kings of Ireland and is now one of the most spectacular tourist attractions in Ireland. Departing Cashel we will go to the heritage town of Cahir, home to one of Ireland’s largest and best preserved medieval castles. 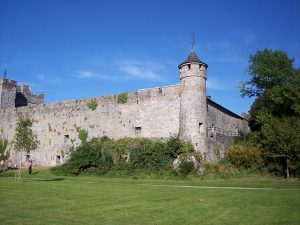 Cahir Castle was built on a rocky island in the middle of the River Suir and has featured in two major films. “Tristan and Isolde” with Richard Burton and “Excalibur” with Patrick Stewart, Liam Neelson, and Gabriel Byrne. 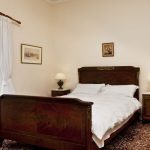 A short walk from the castle is the Swiss Cottage located in a walled park of 800 acres. A delightful “cottage orné” built in the 1800′s by the 1st Earl of Glengall to a design by the famous Regency architect John Nash. This fully restored National Monument’s interior contains a graceful spiral staircase and elegantly decorated rooms. We will start the day the best way with a hearty full Irish breakfast before heading in the direction of the west coast of Ireland to see one of the most spectacular wonders of Ireland, the Cliffs of Moher. Along our way we’ll take the scenic route up over the Silvermine Mountains which offer breathtaking views over the counties of Tipperary and Limerick, here we will make a short stop at a high viewing point to take in the fresh mountain air and take a few moments to appreciate our surroundings. From the Silvermines we will travel on towards Bunratty Castle & Folk Park Bunratty Castle is the most complete and authentic medieval fortress in Ireland. 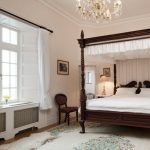 Built in 1425 it was restored in 1954 to its former medieval splendor and now contains mainly 15th and 16th century furnishings, tapestries, and works of art, which capture the mood of those times. 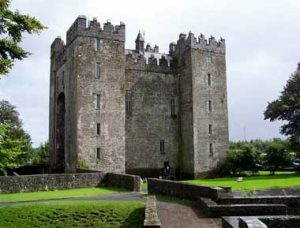 Within the grounds of Bunratty Castle is Bunratty Folk Park where 19th century life is vividly recreated. Set on 26 acres, the impressive park features over 30 buildings in a ‘living’ village and rural setting. The Blarney Woolen Mill shop is next door, we can enjoy light refreshments and a have look around the shop before going to the Cliffs of Moher. The Cliffs of Moher are one of Ireland’s top Visitor attractions and are a designated UNESCO Geo Park. 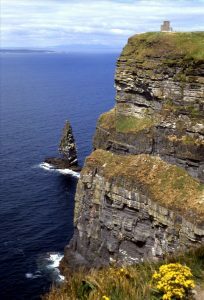 The Cliffs are 214m high at the highest point and range for 8 kilometers over the Atlantic Ocean on the western seaboard of County Clare. O’Brien’s Tower stands proudly on a headland of the majestic Cliffs. From the Cliffs one can see the Aran Islands, Galway Bay, as well as The Twelve Pins, the Maum Turk Mountains in Connemara and Loop Head to the South. From here we will return home after our day to our own castle for another delicious 4-course meal. Today we will go to Ireland’s capital city Dublin (Irish: Baile Átha Cliath, meaning “town of the hurdled ford”) and our first port of call will be the famous Guinness Brewery or, as we like to call it ‘The home of the black stuff’. The Guinness Storehouse is the number one visitor attraction in Dublin and a “must see” visit on any tour of Dublin. It is located in the heart of the Guinness brewery at St. James’s Gate. Housed in an old fermentation plant, this seven- storey visitor experience tells the history of the making of this world famous beer. It is a dramatic story that begins over 250 years ago and ends in Gravity Bar where visitors receive a complimentary pint of Guinness while relaxing and enjoying spectacular views over Dublin. 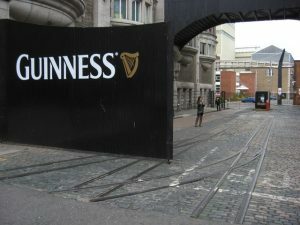 From Guinness we’ll go right into the heart of the city and visit the world famous Trinity College Dublin. Trinity College Dublin is the oldest university in Ireland, founded in 1592 by Queen Elizabeth I and is famous for its graduates such as Swift, Goldsmith, Wilde and Beckett. Visitor facilities include the Treasury, which houses the Book of Kells. 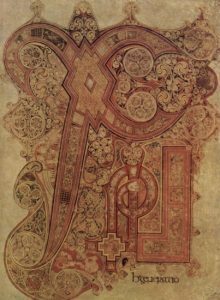 An exhibition, “The Book of Kells: Turning Darkness into Light,” and the Long Room, the largest single-chamber library in the world containing 200,000 of the library’s oldest books. Trinity is located right in the heart of city at the bottom of Dublin’s famous Grafton Street, there are lots of things to see and do in this area and guests will have time to explore, shops, pubs, museums before returning to our now beloved Lisheen to enjoy dinner once more in the formal dining room. Medieval Kilkenny City of Kilkenny or ‘The Marble City’ as it’s affectionately known. Kilkenny (Irish: Cill Chainnigh, meaning “cell or church of Cainnech”) is a beautiful city with a tremendous sense of character, history and culture. 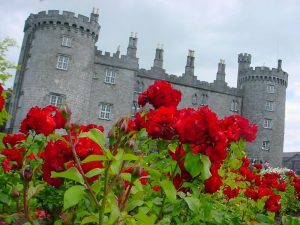 Our first stop will be the focal point of the city, Kilkenny Castle. We will take the tour of this 12th century castle and explore the magnificent grounds. Guests have the rest of the afternoon to explore the quaint and bustling city centre where you are sure to find lots to interest you including shops, pubs and great places to eat. 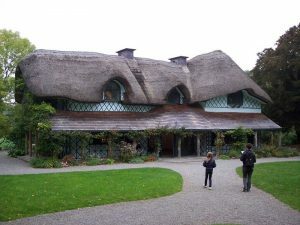 Directly across the street from Castle is the famous Kilkenny Design Craft Centre. The Kilkenny Design Centre is situated in what were once the stables of Kilkenny Castle and is fittingly located adjacent to the National Craft Gallery one of Ireland’s most exciting artistic venues. 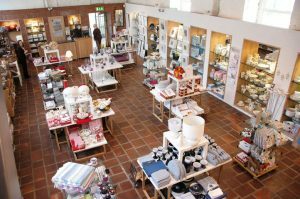 The Centre’s unequalled supplier list, drawn from Ireland’s most eminent craftspeople and designers, gives visitors a uniquely special shopping experience. A world-renowned selection of jewellery, knitwear, Celtic gifts, china & crystal, pottery & glass, home & fashion accessories and one off contemporary design pieces are available. Visitors from outside of the EU can avail of highly attractive tax-free shopping. 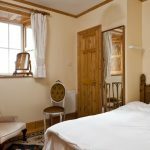 After our day of sightseeing we will return to the castle to relax and enjoy a scrumptious 4 course evening meal before heading out to the Monks Pub (O’Gorman’s) for a traditional Irish music session. 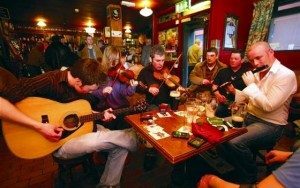 Every Wednesday, a group of local musicians gather in O’Gorman’s pub, enjoying the craic and playing traditional music into the early hours of the morning. Some nights can see up to 14 musicians gather, guaranteeing ‘craic agus ceoil’ (fun and music) to be had by all, not to mention the plentiful creamy pints of Guinness you may enjoy while chatting with the locals. After breakfast we’re bound for the world famous Waterford Crystal where a new visitor centre has recently been opened. Here we will take the factory tour and before your very eyes, you will see red-hot molten crystal take shape in a miracle of light, heat and skill. 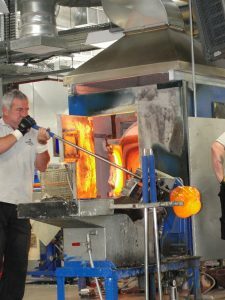 Nothing compares with the atmosphere of the blowing room, the heady mix of heat, noise and bustling activity makes this experience all the more breathtaking as you edge closer to the 1300 c furnace. The craftsmen are meticulous and you can watch as they transform glowing balls of molten crystal into elegant shapes with skills that have made two hundred years of perfection clearly visible in every piece. After a light lunch we travel on further East to the picturesque Fishing Village of Dunmore East (Irish: An Dún Mór Thoir). Dunmore East has to be one of Ireland’s best kept secrets… a little gem of a fishing village perched on the cliff edge. In all its idylicness and beauty, this place will captivate your mind, body and soul. After taking in the breathtaking views from Dunmore East we’ll go back in the direction of Cashel for our evening meal which tonight will be enjoyed at the award winning Chez Hans Restaurant, in my opinion one of the best restaurants that Ireland has to offer, a culinary experience not to be missed. Bru Boru Culture Nights Traditional Irish Music and Dance at Bru Boru. After an enjoyable day’s sightseeing and a wonderful meal at Chez Hans, tonight we are going to Brú Ború, a national cultural centre located at the Rock of Cashel, for a show* not to be missed. 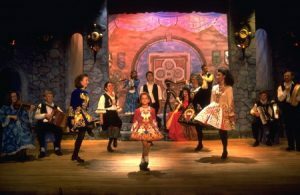 The best and most talented of traditional Irish musicians, singers and dancers are selected to form the resident group who perform an Irish cultural show at Brú Ború. You’ll enjoy Irish traditional music and entertainment delivered with verve, colour, panache and style. 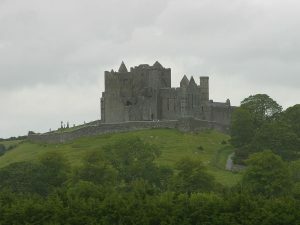 An enjoyable evening of Irish culture will be had in the shadows of the imposing Rock of Cashel. Today we are Cork bound and after breakfast we’ll start out our day by taking a scenic drive over the Vee. 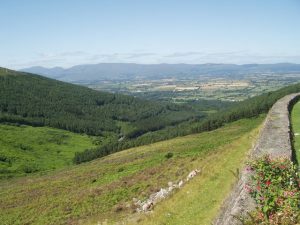 The Vee Gap in the Knockmealdown Mountains is a spectacular scenic route connecting picturesque West Waterford with South Tipperary. It offers panoramic views, rocky paths and rugged mountain scenery. Local tradition holds that the Vee road with its dramatic hairpin bend was constructed as a famine relief work scheme 1846-1847. The old stone hut near the Gap provided shade for sweating horses after the steep ascent while their owners alighted to take the air at Bay Lough. 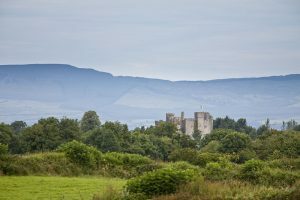 The historic town of Lismore County Waterford is situated at the end of the Vee drive where we’ll make a short stop to admire its magnificent castle before moving on to the coastal village of Ardmore, County Waterford. 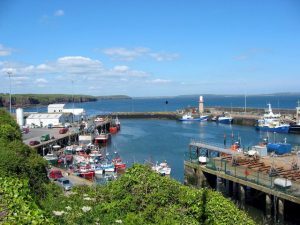 Ardmore (Irish: Aird Mhór, meaning “Great Height”) is a fishing village in County Waterford. Ardmore is believed to have been the first Christian settlement in Ireland. St. Declan established an abbey here in the 4th or 5th century. After enjoying all that Ardmore and Lismore have to offer we’ll travel south down along the coast a short distance further to historic maritime town of Cobh (pronounced kohv, Irish: an Cóbh). 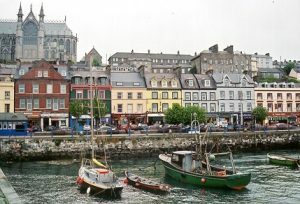 The Heritage Town of Cobh is located on Great Island, which is in a prominent position at the heart of Cork Harbour. The town has a proud maritime heritage. Cobh was the main embarkation point for the millions of Irish who left these shores in the Nineteenth and Twentieth Centuries in search of a better life in North America. Cobh was the final departure point for the doomed Titanic on its fatal voyage; 123 passengers boarded the ship in Cobh. Cobh is also the final resting place of many of the victims of the Lusitania sinking in 1915. Here we will visit the Cobh Heritage Centre, home of the renowned visitor attraction the Titanic Experience and embark on a voyage of discovery concerning Ireland’s great history of emigration to the USA, Canada and Australia. This evening we’ll return to castle to enjoy our 4 course evening meal in the dining room of the castle. Booking the package tour is subject to having a minimum of 12 persons in your group, the rate for the tour package, a break down of what’s included and the booking terms and conditions can be seen under Rates.